Buttery scones - Delicious grain-free scones. Perfect to slather butter on! Few things in life are more comforting than buttery scones. In Ireland, scones are an important tradition. 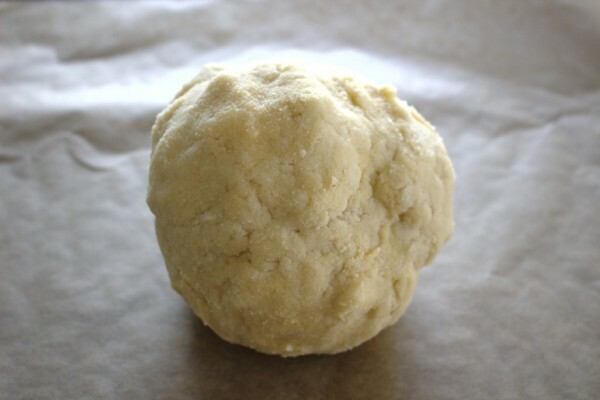 Many gatherings of family and friends include a batch of fresh scones. To be honest, I thought my days of eating scones were over when I began the Specific Carbohydrate Diet (SCD). I never imagined I could recreate a grain-free version that was just as good as the original. I’m happy to report that I have. I am so proud of these buttery scones. They are delicious hot out of the oven and slathered in my number one butter: Kerrygold! I love that scones are so versatile. Sometimes, I like them with just butter. Other times, I pile ’em high with fruit, yoghurt or nuts. I usually make a batch of these, keep them in an airtight container in the fridge and heat them up for twenty seconds when I want one. That way, the butter melts every time. 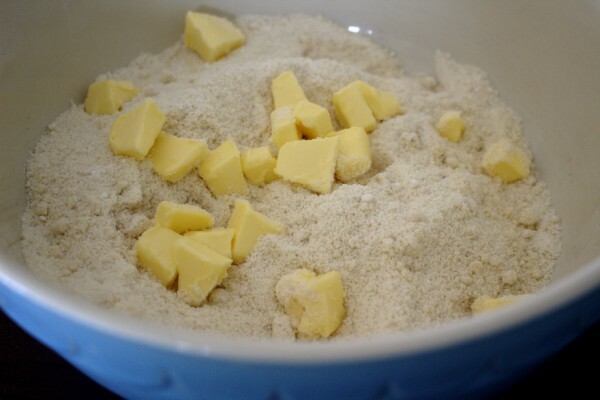 I have great childhood memories of visiting my grandmother’s house where she always had soft Kerrygold for spreading on crusty bread. She kept the butter in a butter dish and never even refrigerated it! When I studied for my master’s degree in St Andrews, Scotland a few years ago, we ate scones all the time. There was a beautiful little coffee shop in the heart of town that sold different flavour scones every day. This definitely inspires me to create different flavoured SCD scones. Watch this space! I’ve added coconut flour to these scones as it adds to the texture and makes them taste more like “real” scones. Coconut flour can be difficult to work with on its own but combined with almond flour makes great consistency for buttery scones. 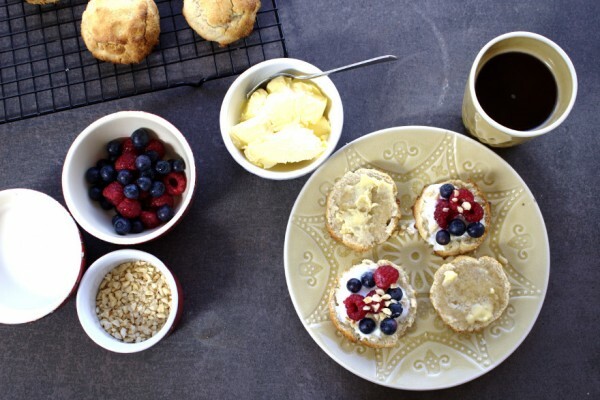 Delicious healthy scones free from: gluten, grains and refined sugar. Suitable for the Specific Carbohydrate Diet (SCD). 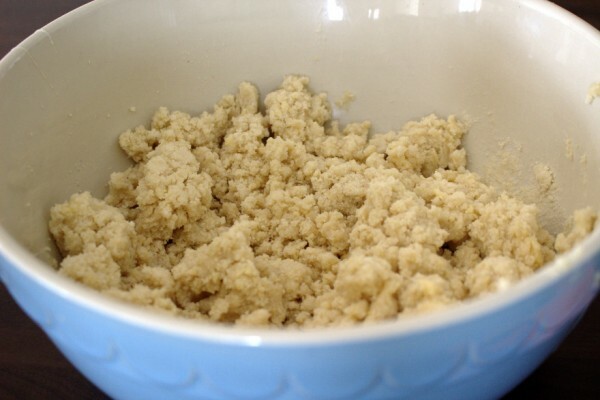 Combine the almond and coconut flour in a bowl. Add the cubed butter and rub into the flours to mix well. Next, add the salt and bicarbonate of soda. Add the yoghurt and honey and mix well. Next, beat one of the eggs and add to the mixture. You will be using the remaining egg to glaze the scones. 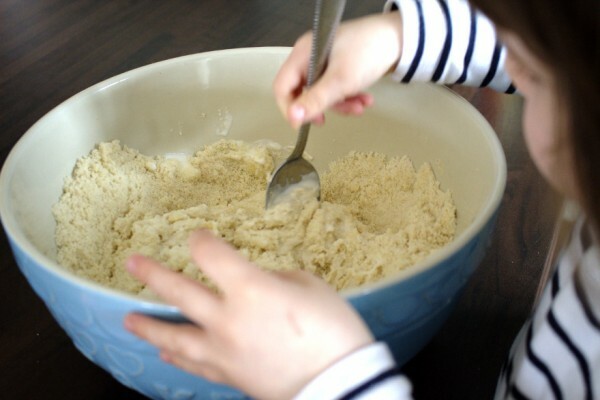 Using a spatula first mix well until well combined then use your hands to make the mixture into a ball. Place the ball on parchment paper and roll out gently either using your hands or a rolling pin. Be careful not to roll it too thin. You want it at least 1 1/2 to 2 inches thick. 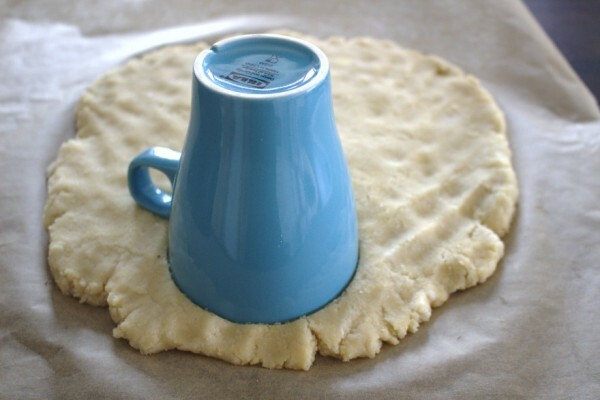 Using a cookie cutter or a small cup as I did, make scone shapes from the dough. 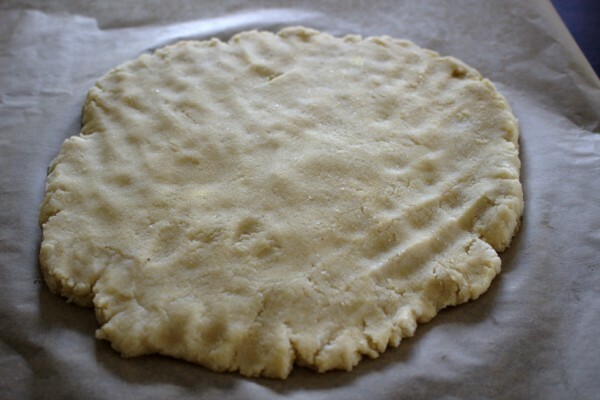 Keep cutting out scone shapes until all of the dough is used. 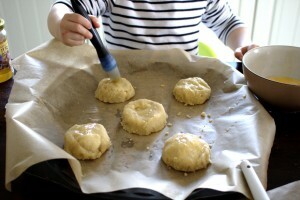 Place the scones on a baking tray lined with parchment paper. Beat the remaining egg and use it to glaze the scones. Bake them for 15 minutes in the oven. Allow to cool on a wire tray before eating.